These past couple of weeks, we’ve had several good dumps of snow in the Anchorage area. This has meant lots of long runs dragging my sled through deep snow. 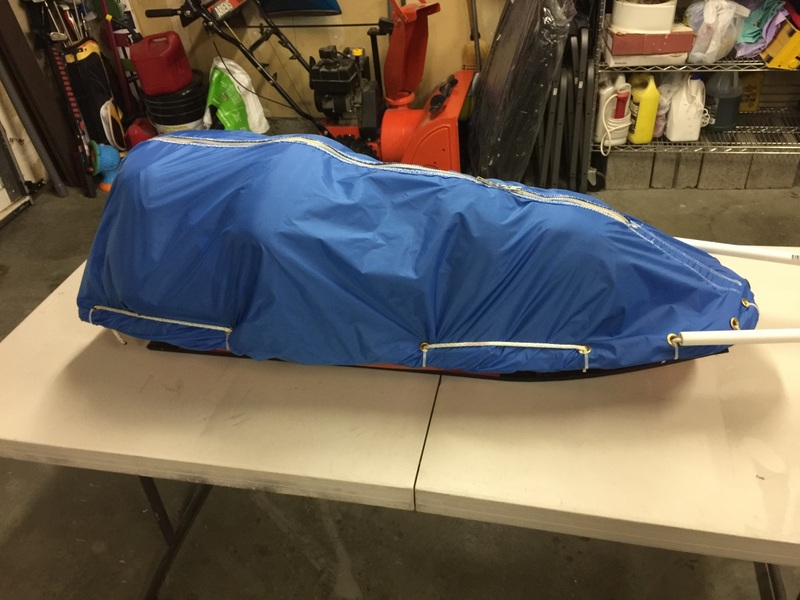 Aside from this being really hard work, I also quickly learned that I needed a cover for my sled before race day. 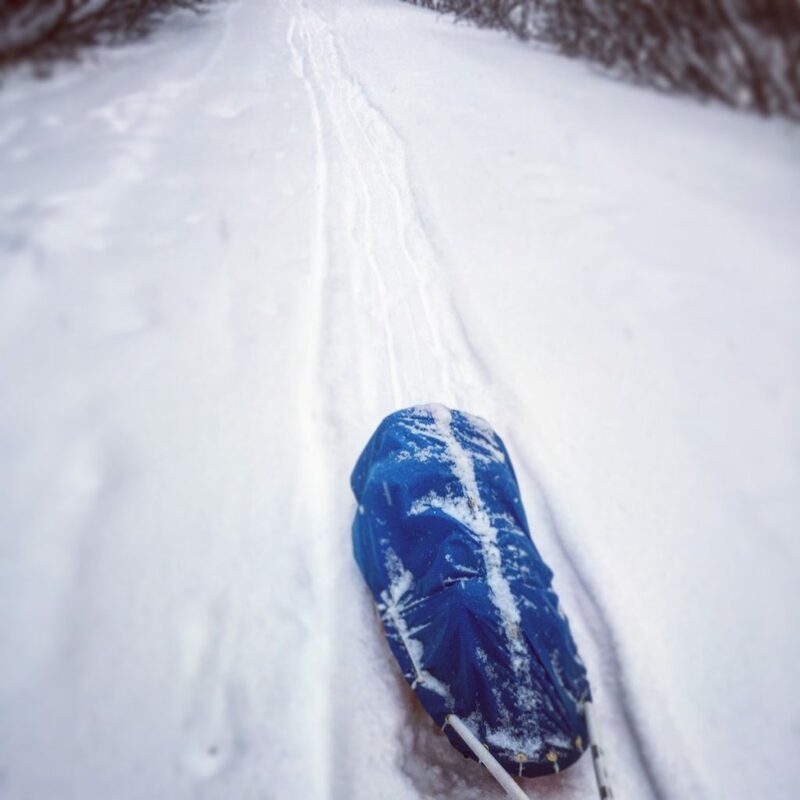 My sled was taking on tons of snow, adding unnecessary weight and soaking my non-waterproof duffel bag. Something needed to be done – so I headed to Jo-Anns for some DIY supplies. I picked up some rip-stop nylon and a heavy-duty zipper. As the name implies, it’s resistant to ripping or tearing, something I certainly don’t want happening during the race. It’s a slick material that actively sheds snow. First, I filled my sled with gear before draping the material over it to figure out where to cut it. After making a first rough-cut of the material, I marked and cut a slit down the center where I wanted the zipper to go. I then handed my project off to my wife, who was able to make relatively quick work of the zipper on her sewing machine. I then headed back out to the garage to add grommets around the edge of the material where it would connect to the sled. Next I threaded the rope back down the sides of the sled, this time through the grommets. Finally, I used zip ties for extra strength, and to help wrap the material around the edge of the sled so there would be nowhere for snow to get in. After several long runs with the new cover, I can confirm that it’s doing a great job!